Within the past few weeks I've been out to eat twice, once at a familiar place, the second a new adventure. 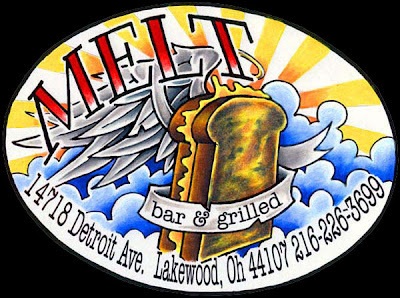 We went to Melt just after their next door addition was complete. The space is inviting and cozy as ever. Luckily you might spend less time waiting for a table. As in the past all the food we had was excellent. I had the Melt Quesadilla, and a few very refreshing Strongbow Ciders. The addition of goat cheese and bacon make the house quesadilla a filling meal for me. As usual the service was very propt and curtious even with the hectic pace and waiting diners.